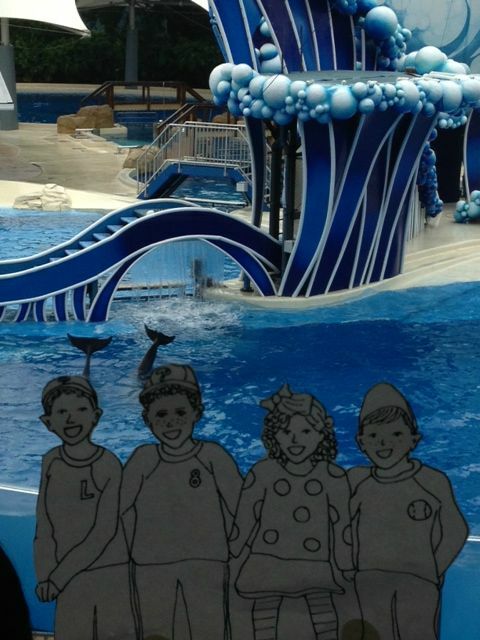 I love this story from Kim & her family of the Flat Littles’ trip to Florida. They attended the dolphin show at Sea World first, but half an hour later were destroyed from the splash by a killer whale. Haha. Guess that’s what happens when you sit in the Splash Zone! I know visiting Sea World can be considered controversial these days. If your family is thinking of going, maybe check out the documentary which began the conversation and the detailed Sea World response. Interested in taking the Flat Littles on your trip around our beautiful country? Shoot me an email at bethwatson115<at>gmail<dot>com.